What’s Included in the Finance Manual? 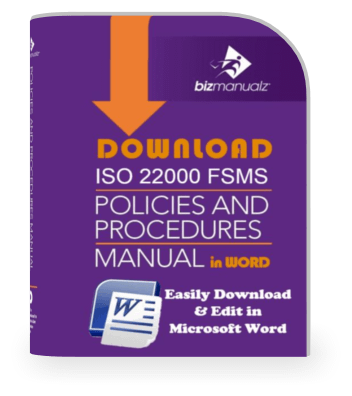 First, a 42 page Policy Manual is used as a top level document to all Finance policies governing your company’s Financial procedures. 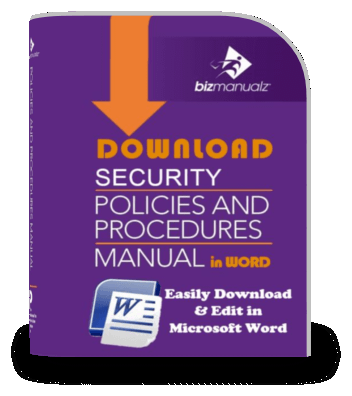 Next, 402 pages that include 36 prewritten Finance procedures, 57 Finance forms and corresponding activities–customize each Microsoft® Word document template to your needs. 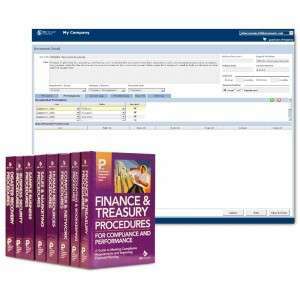 The Finance Manual also includes 34 pages with 10 Finance Job Descriptions covering the primary Finance Department. Free Bonus – Your Finance Manual also includes a guide to Starting and Managing a Business. Topics include business planning, financing, and basics to forming your business. A 30 page training guide explains the basic concepts of Finance, its structure, standards and definitions, and more. 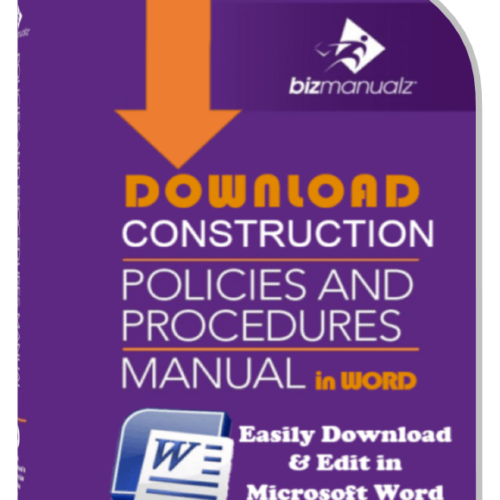 A 42 page Procedure writing guide provides guidance to develop and implement your company’s Finance Policies and Procedures manual. 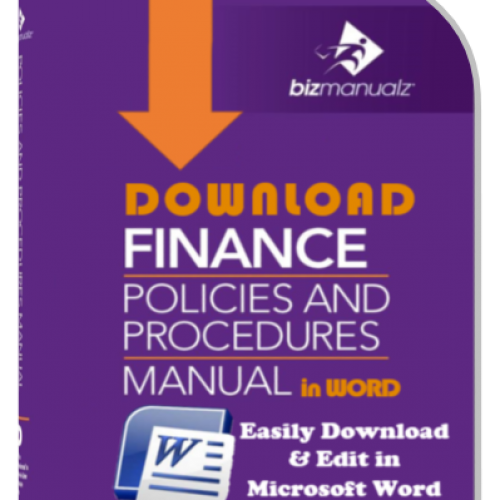 Easily find what you are looking for inside the Finance Manual using the 18 page Keyword Index. Whether you are managing your financial processes, building financial internal controls or trying to improve your fiscal performance, Finance Policies Procedures Manual from Bizmanualz make the process much simpler and easier. 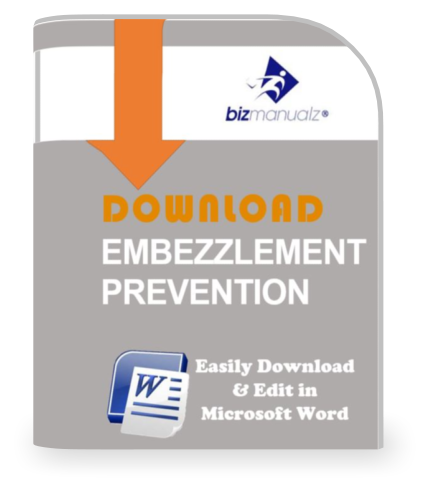 This download only product comes in easily editable Microsoft Word templates to help you quickly and effectively implement strong financial internal controls. How do define your financial objectives? 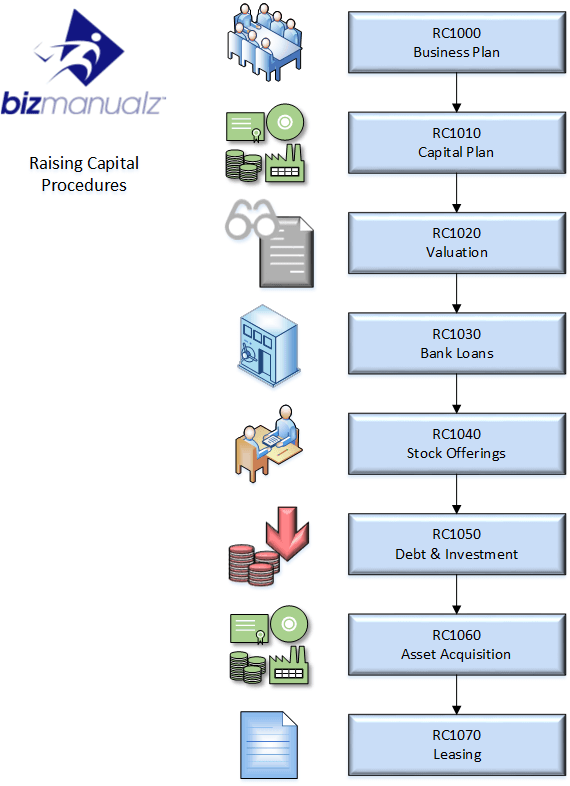 What’s your plan for business valuation or raising capital? What should be your policy on Related Party Transactions? 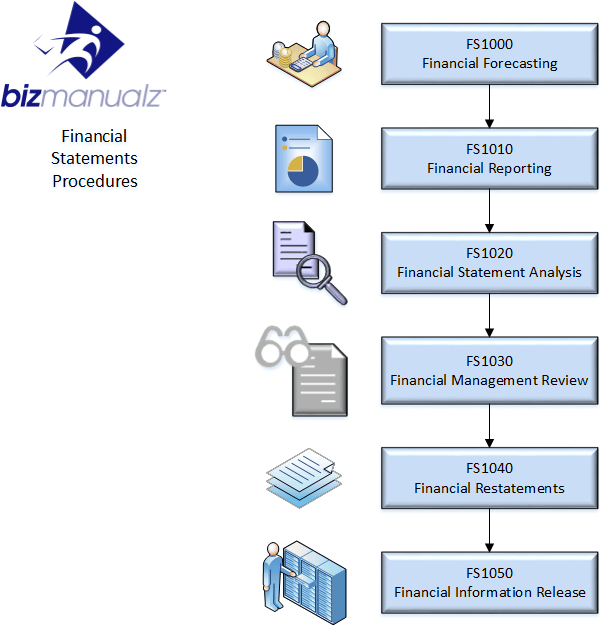 What is the proper method for financial reporting? How do you hold a Board of Directors or Stockholders Meeting? How do you define, assess, or manage risk? 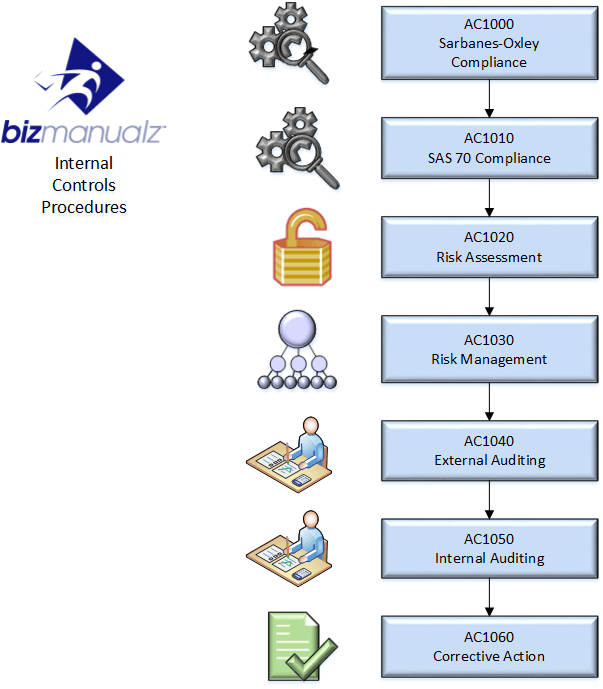 What is the procedure for internal or external auditing? These procedures cover key accounting and financial topics like capital planning, capital structure, asset and inventory control, financial reporting, and financial analysis. You will also get a free Small Business Management Guide that talks about planning, starting, managing and exiting a business. Download a free procedure from the finance manual right now with no obligation. 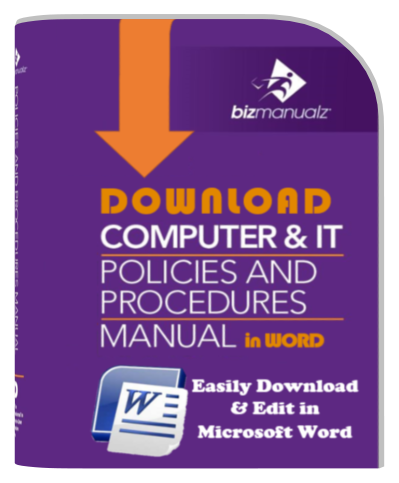 You will get the entire table of contents and one actual policy and procedure set from the Finance Policy Procedure Manual. It is not easy to write financial procedures from scratch. You can spend countless hours on research, writing, editing and review and yet fall short on all the requisite elements. 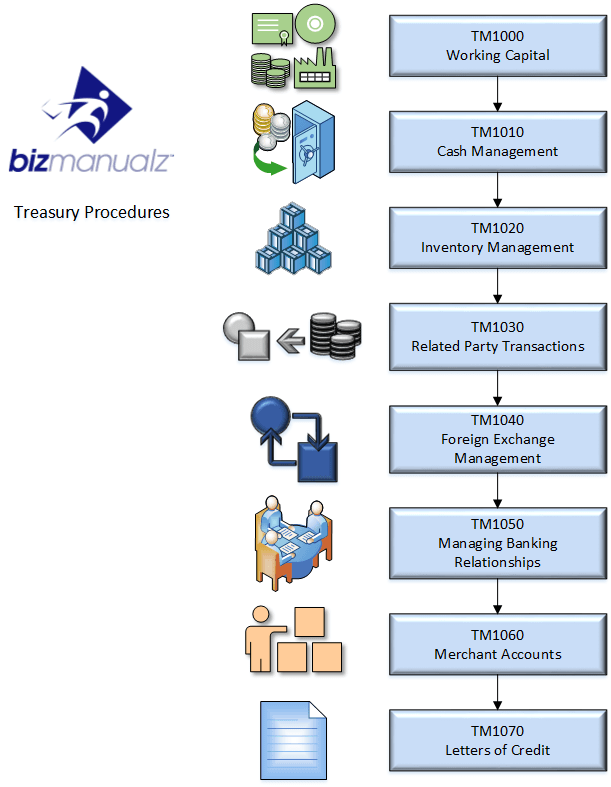 The Financial Policy templates from Bizmanualz are thoroughly researched and are based on commonly recognized best practices. Why start from scratch when skilled finance professionals have already done the work for you? 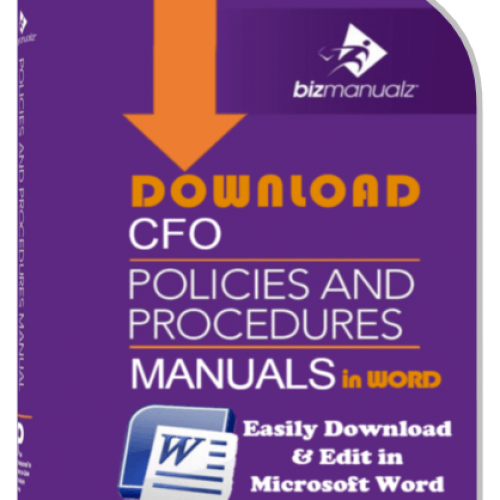 The Finance Policies and Procedures Manual Template from Bizmanualz comes with 36 prewritten procedures, 61 forms, 10 job descriptions, a sample CFO’s manual, and a free Small Business Management Guide. 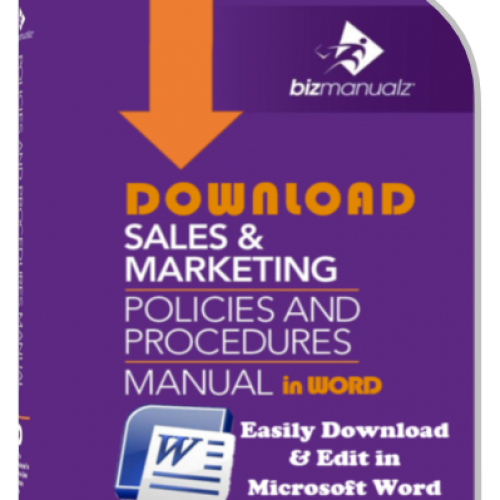 Altogether, you get over 600 pages of content written by knowledgeable technical writers and reviewed by experienced CPA’s. Both the Securities and Exchange Commission (SEC) and the Public Company Accounting Oversight Board (PCAOB) clearly recognize policies and procedures as key elements of financial control. 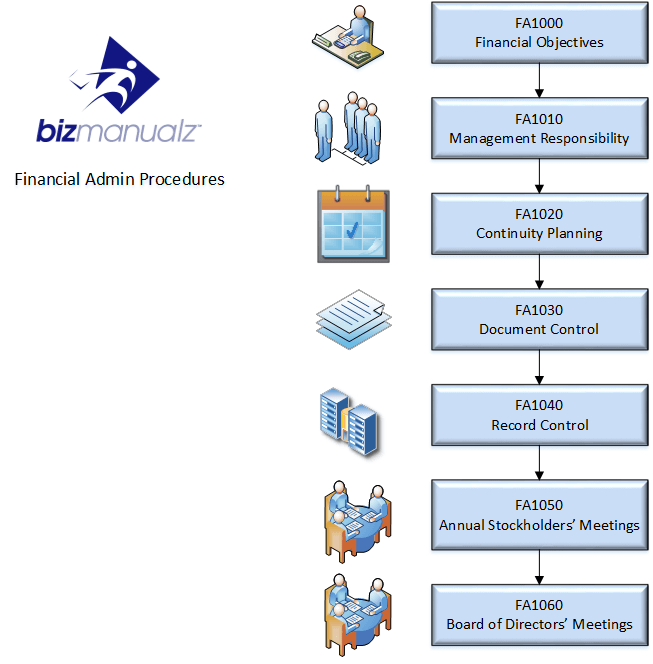 The Finance Policies and Procedures Manual is based on Generally Accepted Accounting Principles (GAAP) as well as standard best practices, and help you comply with regulatory requirements, standards, and guidelines for raising capital, treasury management (managing cash), financial statement reporting, financial auditing, and general financial administration. 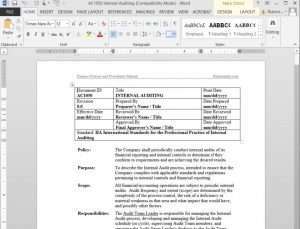 Because of their generic and broad nature, the prewritten templates can be implemented by organizations of any size or kind. 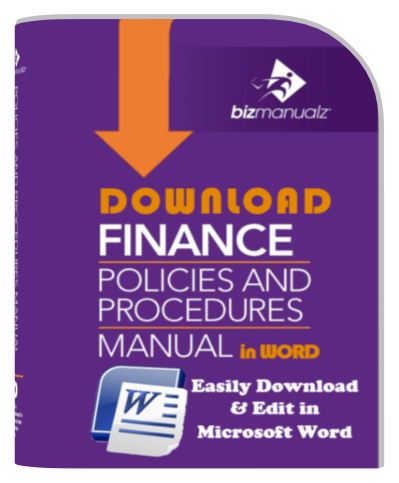 Download a free procedure from the finance manual right now with no obligation. 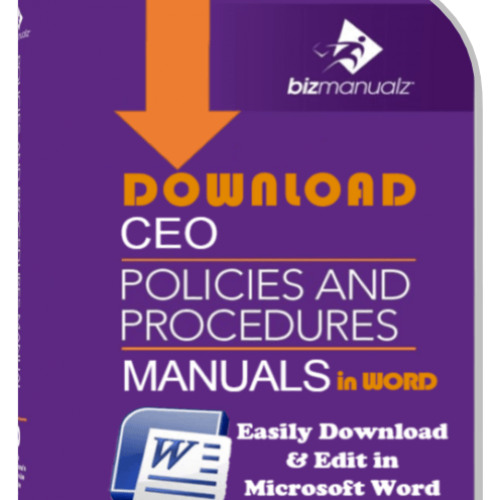 You will get the entire table of contents and one actual policy and procedure set from the manual. Or, if you are ready to buy now, place your order using our secure server and you’ll be able to download immediately. With our money-back guarantee, your purchase is risk-free! 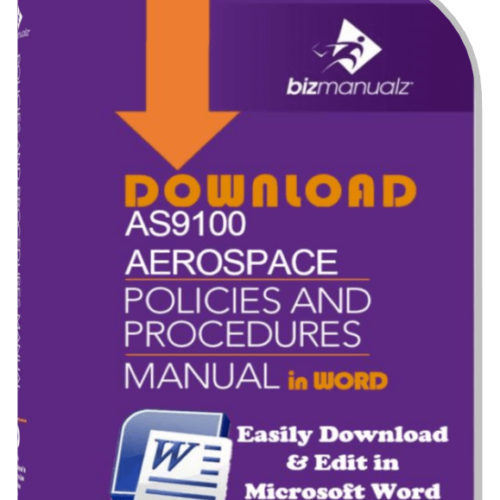 I found the “Finance Policies, Procedures and Forms” manual to be the best generic finance policy & procedure manual on the market. It gave us the right wording to make our existing policies and procedures more effective and develop new policies and procedures where none existed. The references and additional resources have proven to be invaluable. 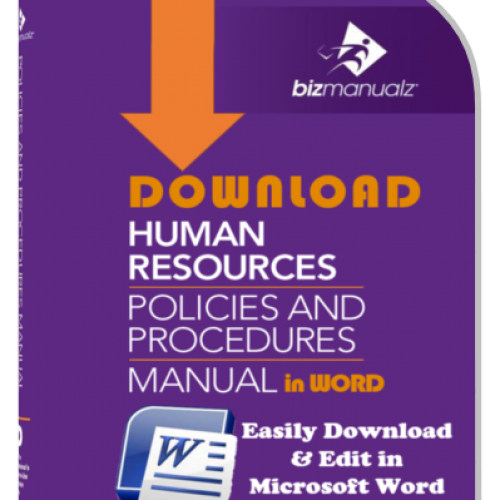 I found it extremely helpful in drafting policies and procedures for my company. I took a risk and bought the Finance manual on my own without approval from my boss who was away on summer vacation. There existed chances that I might not get the reimbursed. To my amazement, on his resumption, when I presented the the manual to him, he embraced it more than I thought. We ordered the. Accounting manual as well. Most importantly, I got my reimbursement! 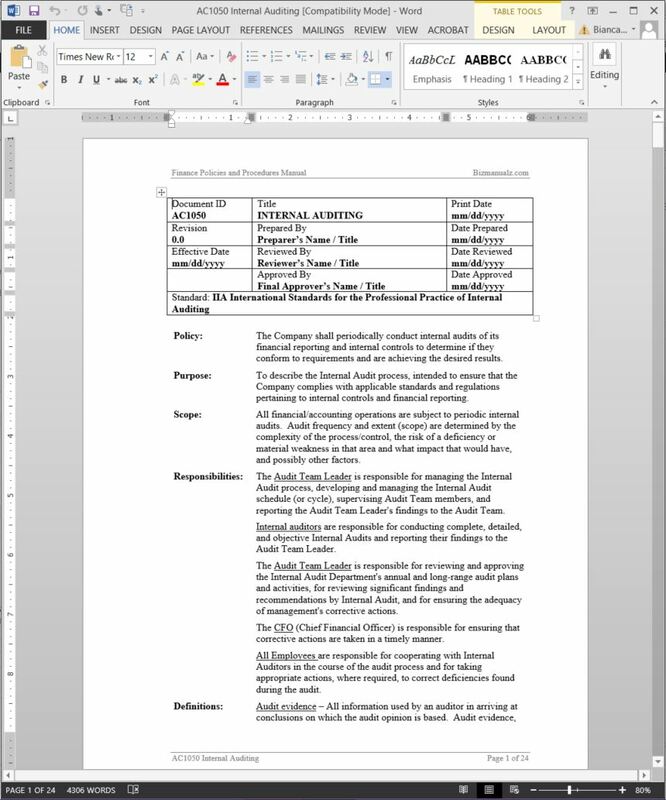 Policies, Procedures and Forms made my polices write up that much easier. 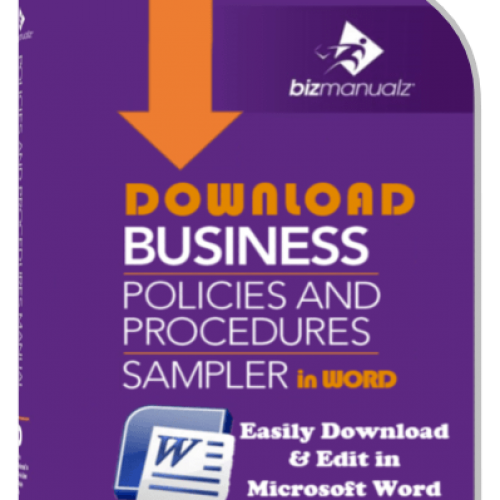 A very practical and user friendly guide to write and create new policies. Extremely helpful. The Finance policies and procedures that we have bought are excellent, easy to understand and practical.